Fallon Animal Welfare Group (FAWG) was formed in the spring of 2010. Since then we have neutered over 1,900 cats, resulting in a 50% decrease in the number of cats entering the Fallon city shelter. 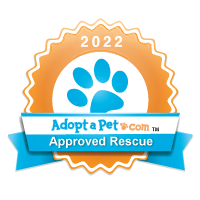 We have adopted out over 500 pet cats and barn cats, and sent more than 400 cats to our no-kill rescue partners in Reno. None of these achievements would have been possible without the help and support of many many people in our community. FAWG is now going through organizational and personnel changes. This is an opportunity for more people to donate their skills, experience, and yes, it will take a bit of time as well, to improve the lives of cats -- and dogs and other animals -- in Churchill County. We can write about what FAWG has done over the past nine years, but what FAWG accomplishes in the future will be up to people like you. Please attend this meeting if you can to find out how you can make a real difference in the lives of animals in your community.